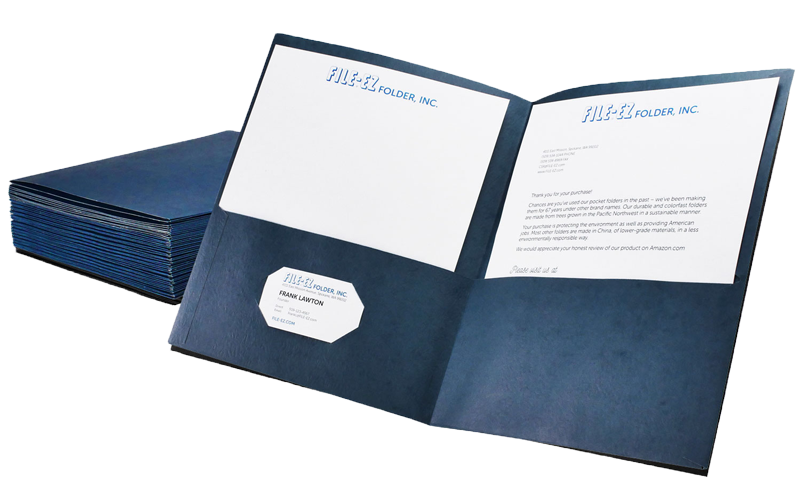 Chances are you’ve used our pocket folders in the past – we’ve been making them for 68 years under other brand names. Our durable and colorfast folders are made from trees grown in the Pacific Northwest in a sustainable manner. Purchasing from FILE-EZ is protecting the environment as well as providing American jobs. Most other folders are made in China, of lower-grade materials, in a less environmentally responsible way. We take pride in being an American company creating American made products. Our attention to detail, our employees, our products, and the kind of paper we use make a difference that you will be able to see. Let us know your opinion about products being made in America. Support OUR economy and use an American-made product when possible! 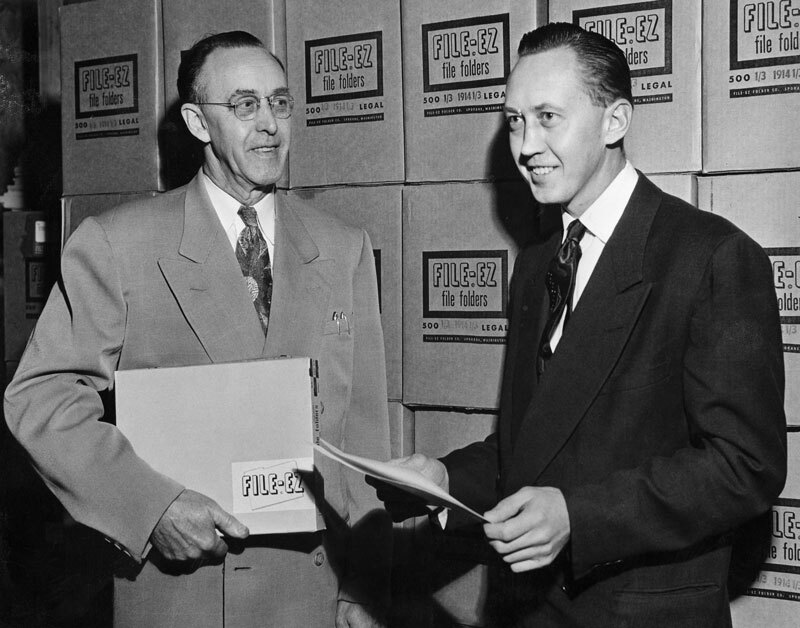 FILE-EZ is a fourth generation family-owned company that started in 1950. 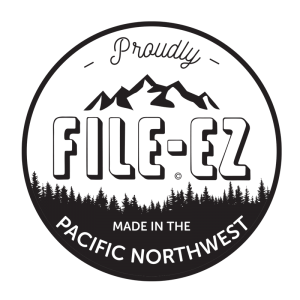 FILE-EZ came about from our sister company, Lawton Printing, Inc. One of Lawton Printing’s founders, Frank A. Lawton, designed and developed specialized equipment to produce file folders for a large client because the equipment to automate the production of these folders was not readily available at the time. This ingenuity created the beginning of FILE-EZ Folder. This entrepreneurial, can-do attitude continues to permeate the company culture.